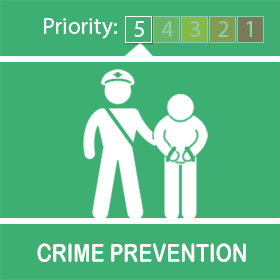 Unfortunately, we have had a recent report of a distraction theft at Sainsburys Supermarket, Caldy Valley Road, Great Boughton, Chester. 1.Do not leave your handbag hung over your shopping trolley or unattended at any time. Make sure your bag has a secure zip fastening, and for added security put your purse inside a zipped pocket inside the bag to help protect against thieves reaching inside it to search for valuables. 2.If you are approached by a stranger in unusual circumstances in or around a supermarket, do not engage with them, particularly if they ask for directions or change or offer to help you put shopping in your car. Be firm with them, walk away and report any suspicious activity to the police. 3.When using a chip and PIN device or an ATM, always shield your number with your hand. Avoid using cash machines that appear to have been tampered with or have groups of people hanging around them. 4.Always check your bank statements for any inaccuracies or discrepancies as credit card fraud may not be immediately apparent. Further information will be shared as part of the ongoing investigation but I felt it was important to get this message out now.